.A Hygiemix socket mop but with an Exel Socket. 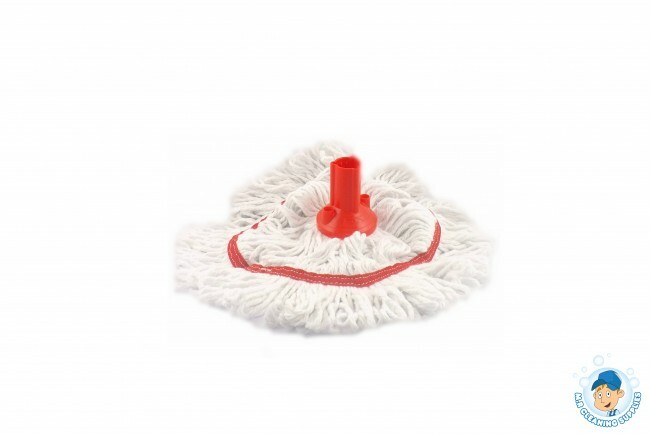 A launder-able mop up to 60C. Produced from a unique 50/50 blend of bleached cotton and synthetic yarn for absorbency and strength. 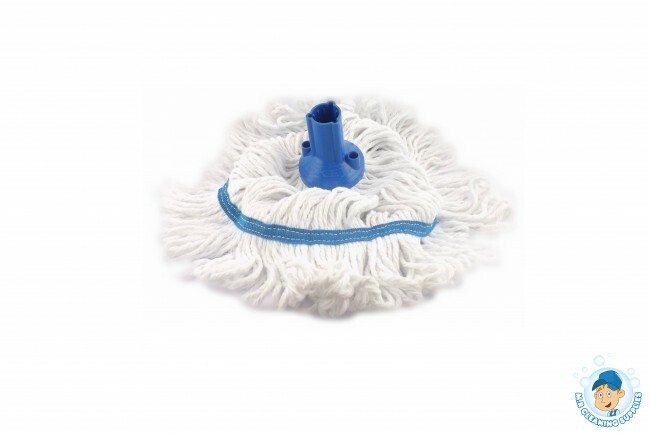 Improved performance circular profile looped white yarn with colour-coded band mop socket.